Easy Turkey-Bacon Tortilla Roll-Ups + FREE 2 Week Meal Plan Trial with Emeals! 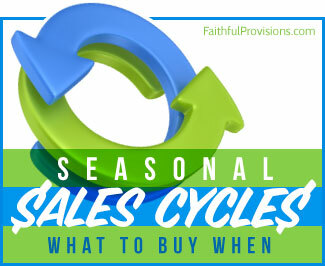 The sound of the school bell ringing is quickly becoming a normal part of your child’s day. Whether your child is 4 or 14, adjusting to school is never easy. This transition can be softened with the help of one of my favorite organizational tools, eMeals! eMeals provides you simple breakfast, lunch, dinner, and even dessert meal plans to help you easily and effectively plan meals for your family. One of the new favorites is their kid-friendly meal plan. Each meal plan comes with a ready-made shopping list to help you get through the grocery store in no time flat! Sign up for eMeals now and you can a free 14 day trial! 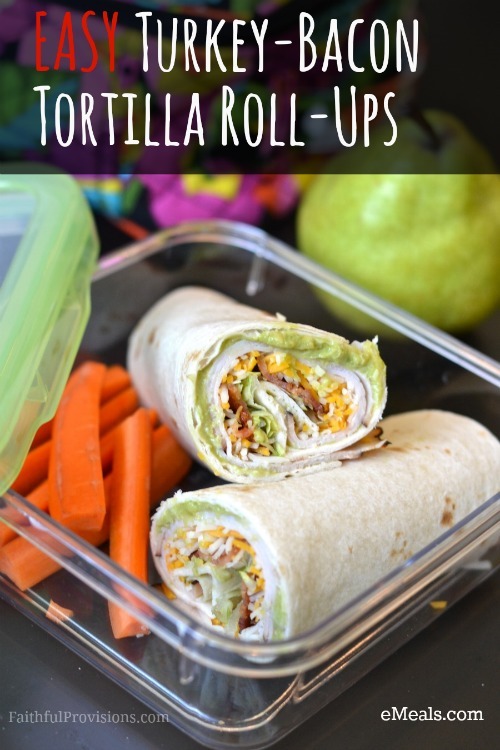 Give it a try with this FREE sample recipe to enjoy with your kids from the Back to School kit: Turkey-Bacon Tortilla Roll-Ups. *Scroll down to print recipe. I love that eMeals offers so many healthy meal planning options. 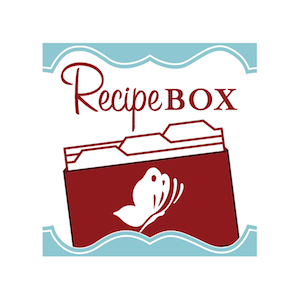 Choose from Paleo, Mediterranean, Clean Eating, Natural & Organic or any of their 13 other menu plans. You’ll definitely be able to find one to fit your family’s lifestyle. Plus, you can download the FREE eMeals app to your iPhone or Android device. I love that I can even menu plan while waiting in a car rider line. Plus, I never forget my shopping list at home! Sign up for the Emeals 14 Day FREE Trial Now!! For the month of August you will also get the Back to School Survival Guide for FREE! Roll up tortillas, and cut in half.